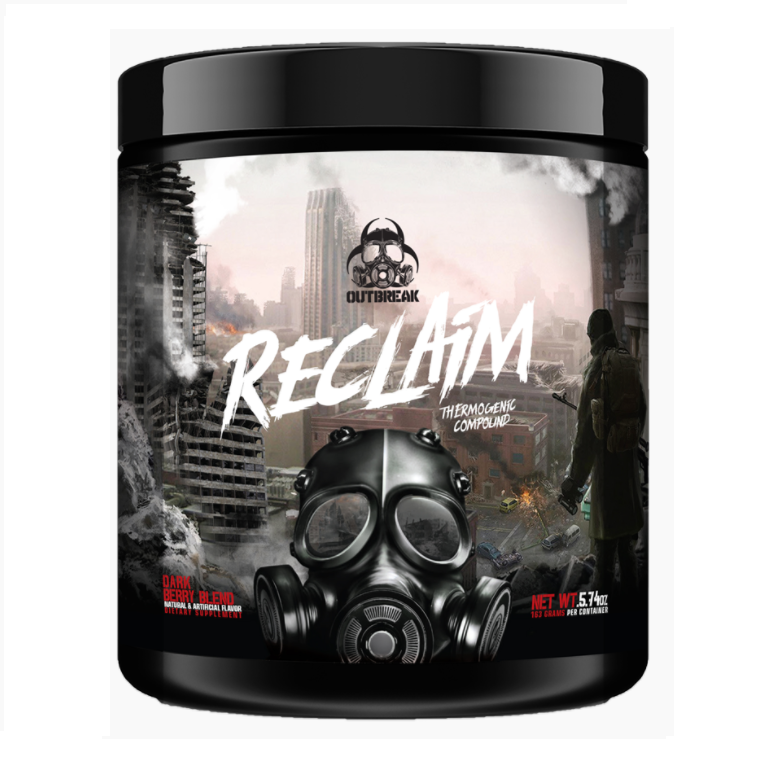 Outbreak Nutrition Reclaim by Outbreak Nutrition is a clinically dosed powerful thermogenic and energy supplement that will help you burn fat quicker than ever! 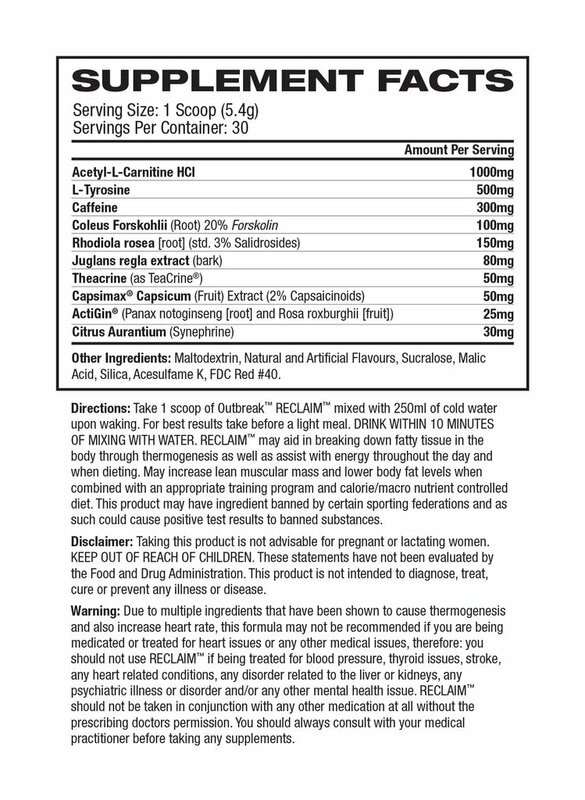 Outbreak Nutrition Reclaim by Outbreak Nutrition effective formula contains proven ingredients that will help with burning fat to help release and transport fat from your fat cells. Outbreak Nutrition Reclaim by Outbreak Nutrition also aids to increase your base metabolic rate, which allows an increase in energy levels and ultimately drives your body to burn more calories! Outbreak Nutrition Reclaim by Outbreak Nutrition is what you need to help you burn fat in no time! Manufacturer recommends to take 2 times a day. For your first serving, simply take 1 scoop with water 30 minutes before doing pre-breakfast cardiovascular exercise on an empty stomach.